Prime Minister Narendra Modi’s government tightened rules for the retail giants after strident complaints from small shops and domestic sellers. Amazon and Walmart’s Flipkart now are banned from cutting exclusive arrangements with sellers, offering deep discounts or holding any business interest in online merchants on their websites. Thousands of products already have vanished from the virtual shelves of the duo, which together account for 70% of India’s online retail market. Arvind Singhal of consultancy Technopak Advisors Pvt, estimates their revenue growth could fall to 15% in coming months from 25 to 30% previously. Amazon’s shares slid as analysts pushed the company for answers on India, a market the e-commerce titan regards as the best frontier for international expansion. CEO Jeff Bezos has pledged to spend $5.5 billion there in pursuit of growth, but executives had few encouraging words, saying Jan. 31 the effects of new e-commerce regulations in the country still are uncertain. Its newfound headaches in India come as a slowing global economy threatens to curtail the consumer spending retailers rely on. What’s clear is that Amazon and Walmart now have to retool their strategy and potentially ward off stiffer competition from physical retailers or local rivals with deep pockets such as conglomerate Reliance Industries Ltd., which may benefit from the new laws. The disruption comes after the two retailing giants wagered billions on the market: Beyond Amazon’s spending pledge, Walmart shelled out $16 billion to acquire control of Flipkart Online Services Pvt last summer. Walmart ranks No. 3 on the Transport Topics Top 100 list of the largest private companies in North America. The new regulations jeopardize Walmart’s prospects in a market that it’s banking on to drive growth abroad. Over the past year, the retailer has scaled back its holdings in Britain and Brazil, and said it will funnel the bulk of its international investments into India and China. That’s why Walmart competed so fiercely for Flipkart, a money-losing business that some analysts say already was losing ground to Amazon when Walmart acquired its majority stake last year. Flipkart also has been marred with the departure of co-founder Binny Bansal after allegations of sexual assault emerged late last year. Walmart and Amazon have amassed vast inventories in companies in which they have business interests and had sought a four- to six-month extension to help offload those products. But the decision to go forward with the new rules on schedule was announced the night of Jan. 31. Now, thousands of products from Amazon’s leading vendor, Cloudtail, a joint venture with Infosys billionaire co-founder Narayana Murthy, have gone off the platform. That includes its Echo smart speaker, Fire TV Stick and Kindle devices. Flipkart fashion arm Myntra has a wide range of labels that it has created and invested in — those, too, must go. And so-called Alpha sellers that have sealed arrangements with Amazon and Walmart cannot sell on the websites, nor can phonemakers and fashion brands sell products exclusively on either platform. Both retailers will have to draw up new contracts with thousands of merchants and brands, deleting wording such as “exclusive.” And they may have to develop India-specific private labels, which the government allows. “Private labels are not a panacea to their current problems since their unique selling point is that they are a single stop for all products and brands,” Singhal said. 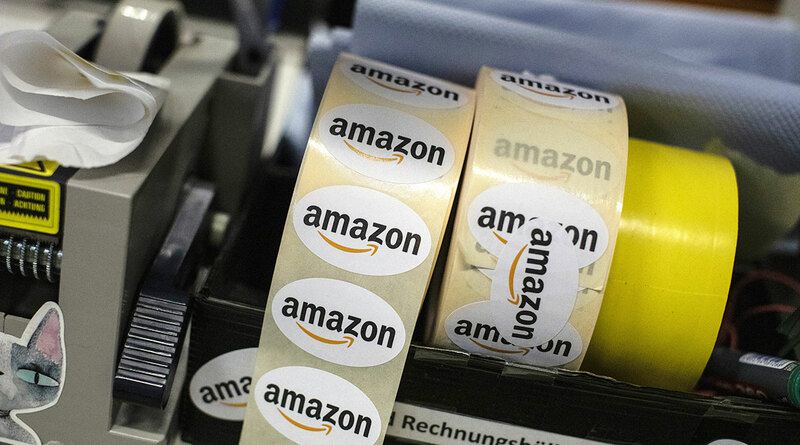 The new rules could wipe out nearly half the products on Amazon.in, said Satish Meena, an analyst at Forrester Research Inc. “It’s likely to disrupt availability for customers,” he said. That could also put Amazon’s plans to expand in food retailing into jeopardy. While India allows 100% foreign investment in such retail operations, the new rules bar Amazon from selling any products from entities in which it owns a stake. Last summer the government approved an Amazon proposal to invest $500 million to retail food products. Amazon and Flipkart will have to cut back on cash-back payments and discounts. These have been a particular sore point with smaller sellers, which have accused the pair of predatory pricing practices. Behind-the-scenes and government-level lobbying is expected to continue, Singhal said. Walmart’s and Amazon’s tactics have been controversial in a country where organized retail accounts for only about 10%, and the market is dominated by small sellers and mom-and-pop stores. The government’s decision on the e-commerce rules comes months ahead of a crucial general election. Small traders traditionally have been part of a support base for Modi’s ruling Bharatiya Janata Party. The biggest beneficiary from the tightened rules could be Reliance, which is India’s largest private company and owns the country’s biggest brick-and-mortar retail chain. Recently, it has spelled out ambitious plans to delve into e-commerce by getting millions of small sellers aboard a platform it has created alongside its Jio wireless service. “Reliance is likely to become the largest omnichannel retailer in the next 24 months as it has nearly 300 million Jio telecom subscribers who can access a bundle of financial, education, entertainment and retail services on their phone’s Jio app,” Singhal said.